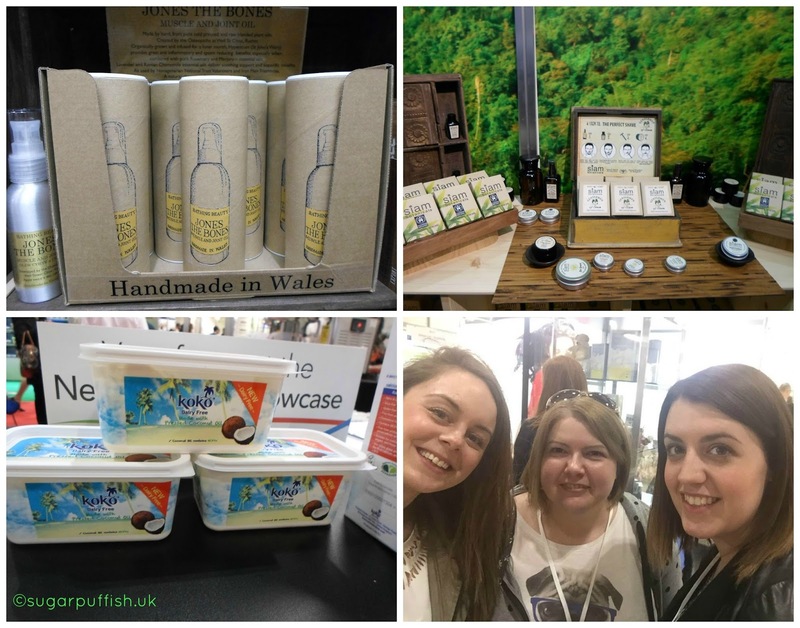 On Sunday I was able to attend the Natural & Organic Products Europe Event thanks to Viridian. 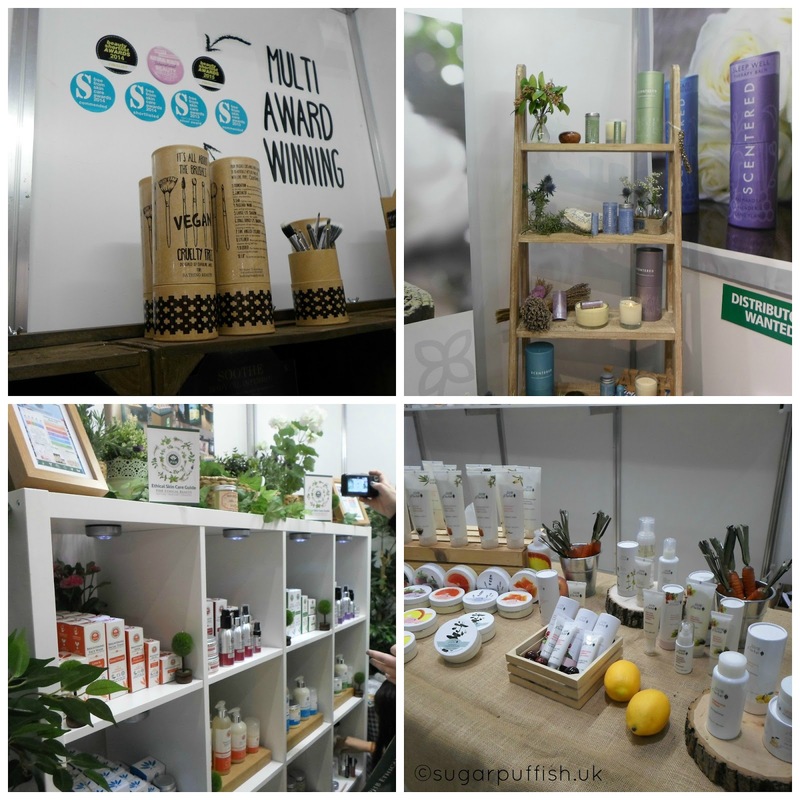 It’s a trade only show which covers everything from skincare, wellbeing and food. This was my idea of heaven and in keeping with my blog theme so it was worth the trip up to Excel, London. I was also able to spend the day with fellow Green Bloggers Amber and Ailish. This was an event where I was able to meet brands I have spoken with on Twitter and say hello to old friends. It was nice to say in person, that I genuinely loved products and how could I, as a customer (and of course blogger) get them into local stores so I can buy more of them. I love online shopping but it would be even better if I was supporting the trade on my local high street. There was so much to see and at times it became crowded and I know I miss people off my long list. I’m hoping some of them will be exhibiting at the Allergy/LNLO shows in July. So in no particular order, here are the brands that I wanted to share with readers, definitely keep your eye out for their products. Bathing Beauty have updated packaging which is giving one of my favourite brands a cool eco-friendly vibe. Makeup lovers will be excited to hear they have just launched a range of Vegan brushes. Bath Spa Skincare a great looking skincare range with products tailored to several skin types including eczema. They have just launched Rejuvenating Powder Serum which I thought was one of the most innovative products I saw at the show. Coco Cuddles by Jeeva UK - a Vegan skincare range for sensitive and eczema prone babies and children. The range looked interesting and one I will do more research on. Scentered - a unique range of 100% natural portable therapy balms. Delightful scents and sleek packaging I think this brand is going to be a hit with many followers. Siam Botanicals - Hand crafted in small batches in Bangkok and formulated with local oils including coconut, rice bran, guava and moringa. After being a long time twitter follower, I am excited for their launched into the UK and I look forward to seeing great things from them. Ape Snacks - I was keen to sample after spotting these crispy coconut curls snacks on twitter, I enjoyed the sweet and savoury combination of flavours. CocoNuts Vegan coconut ice cream, I sampled the chocolate, nice taste and strong coconut flavour. Hampstead Tea - I’m a huge ice tea fan but I hate the sugary brands, these were refreshing and no weird after taste. Jollyum – I’m already a massive fan of Jollyum and for me, their Double chocolate is the best dairy free chocolate ice cream on the market, it tastes perfect, first time I bought it I did a double take and check the ingredients label several times because I can’t believe it is dairy free. Koko - if you avoid dairy you’ll probably be familiar with Koko coconut milks but as of this week their new spread (margarine) launches at Waitrose (Ocado to follow). I sampled, enjoyed the taste and I will be looking to buy if my local store is a stockist. Nom Foods - I’m already a fan and follower of Nom Bars so I can’t ignore their presence at the show. I recommend you seek them out and encourage local stores to stock them. Soupologie - dairy free, gluten free and Vegan soups which I have previously spotted at Holland & Barrett but have yet to taste them. Lastly Greenscents, I first reviewed their household cleaners in 2012 and I continue to buy from them. It was lovely to catch up in person. Greenscents have recently added to the range with Tinyscents Nursery Multi-surface spray (Vegan & Palm oil free). I think that covers everything I was interested in. Has anything on my list tickled your interest? I can;t wait to track down and try all of the snacks Nom indeed! It's nice to discover new shows, thanks for sharing. I've added this one to my list.